Wilmington is bustling this summer. 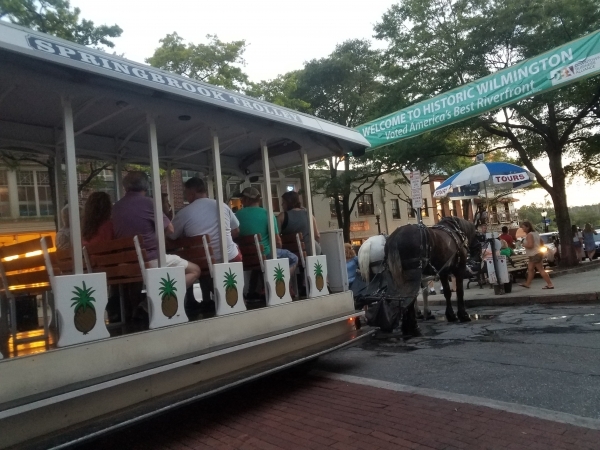 Downtown, horse-drawn carriages take tourists along the riverfront the city advertises as “America’s best” where they drink at local pubs, eat seafood, sip cold brew coffee in cafes that also sell designer shoes and limited-edition t-shirts. But a five minute drive from thriving Princess Street – down 3rd street along the Cape Fear Historic By-Way past monuments to Confederate soldiers and meticulously restored historic homes – you turn onto Dawson Street. Here dusty curb markets with barred windows begin to replace the hip eateries with seasonal menus, public housing projects the bed and breakfast inns. You’ll find few historical markers here – but walk a few blocks and you’ll be stepping over discarded hypodermic needles. North Carolina’s place in the national opioid crisis is nothing new here – and the news that Wilmington is the top city in the nation for opioid abuse doesn’t surprise people. operation that opened just last year. 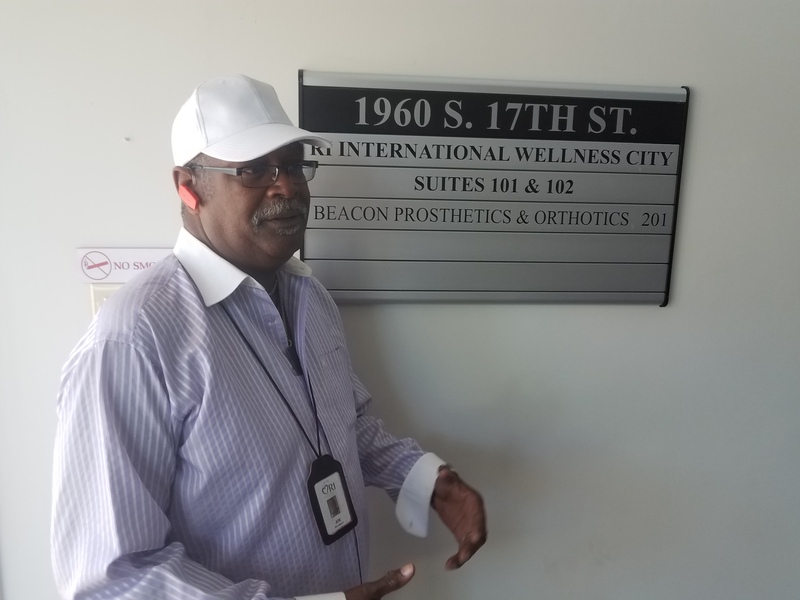 The group held 125 sessions – they don’t like to call them “classes” – last month for people struggling with addiction, mental health problems and both. At 51, she’s now been sober for four years – but that’s after years of the sort of nightmare in which she never imagined she’d find herself. And she had a habit. 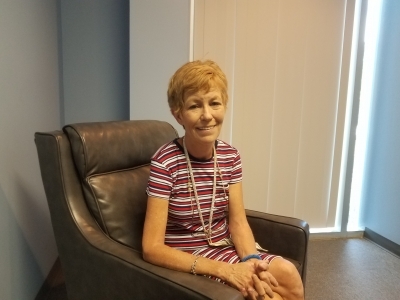 It began with prescription pain medication she legitimately needed – but it soon became hard to tell what was pain management and what was needed to maintain a growing addiction. Soon she was doctor shopping to get pills – and buying them illegally when that didn’t work. Greenwell weighed about 80 lbs when she finally hit bottom and attempted suicide. Her husband – who stayed with and tried to help her even after she once stabbed him at her lowest point – had asked for a divorce. Her friendships and family relationships were in shambles. 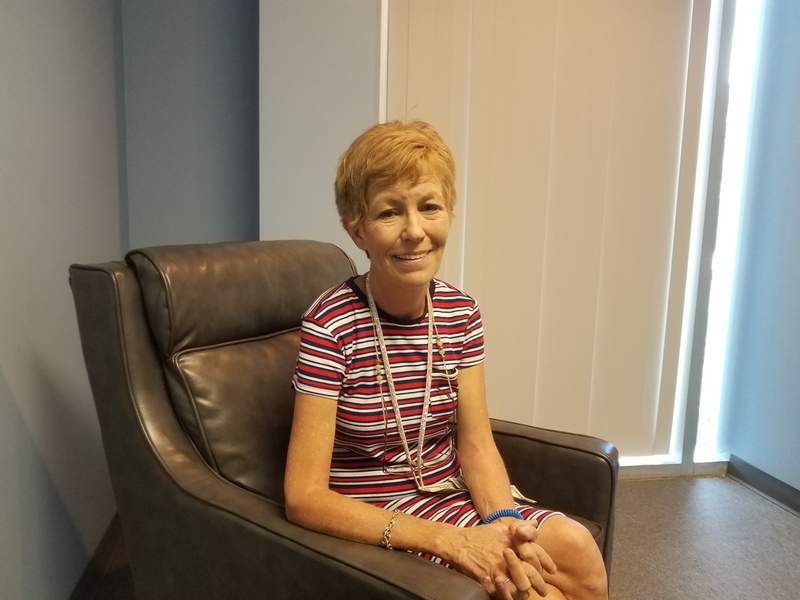 It was a miracle she survived, she now says – and it led her to help others in what is now a vibrant and growing recovery community in Wilmington. These days she manages the nonprofit Fleming Recovery House for Women, the very place where she began to get her life back together. 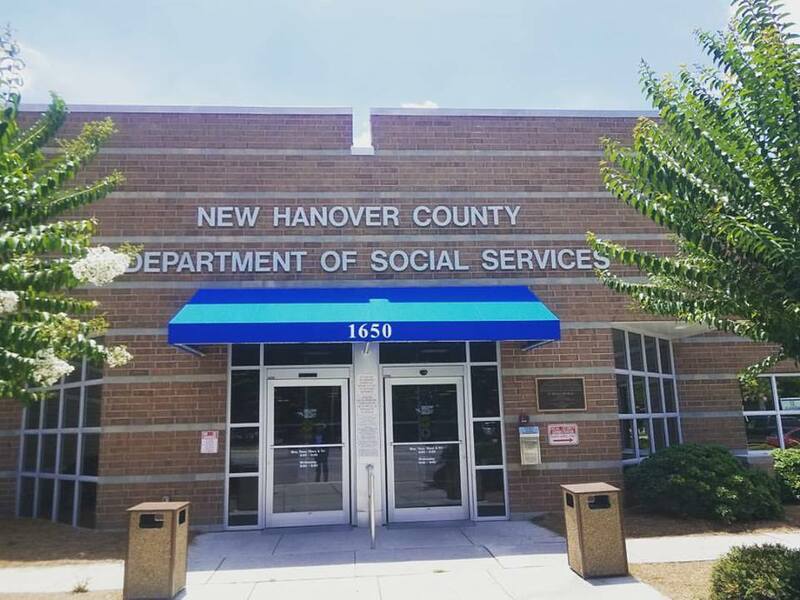 John C. Davis is Social Work Supervisor with the New Hanover County. He agrees stories like Jonette Greenwell’s have become more common and are getting more attention than the struggles of poor, minority people in the community who have struggled with the destructive nature of drug addiction. But it’s a very complicated picture here. “We have a perfect storm,” Davis said of New Hanover County. The county has very rich and very poor communities – both risk factors for addiction. While the median income is higher than many larger counties, so is the poverty rate – 17 percent, according to the latest census data. Wilmington is also a port city, vulnerable to drug smuggling. It’s a popular vacation and retirement destination, which brings in people – and their habits – from all over the country. 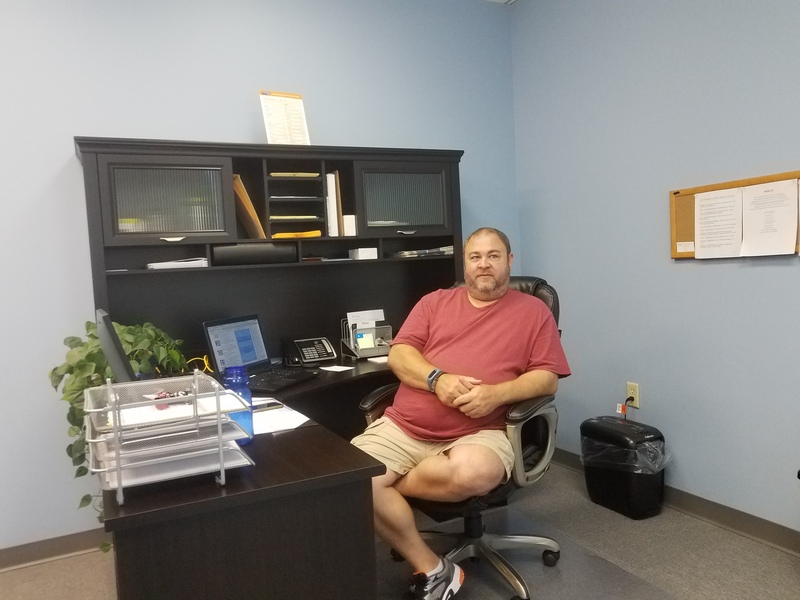 Many military personnel stationed at nearbyb bases like Camp Lejeune and Cherry Point settle here – and the Veterans Administration is not doing the best job of dealing with their health needs and addiction problems. And then there’s the problem that’s only beginning to be truly recognized. In addition to blatant pill-mills and a thriving black market, it’s also much easier to doctor-shop here as Greenwell did for years. While there’s a thriving recovery culture here including 12 step programs and no-cost, peer recovery model operations like the Wellness City, Davis said there are also predatory, cash-only operations that charge $300 a week or more to provide recovery drugs like methadone and Suboxone and little else. While the recently passed state budget did improve funding for the state’s Controlled Substances Reporting System and funneled $10 million in federal grants to treatment services, it was well under what Gov. Roy Cooper called for in his suggested budget and only about half of what was called for in the bipartisan Strengthen Opioid Misuse Prevention (STOP) Act. A number of Democrats – including Cooper – are disappointed and say more funding and a more holistic approach is crucial. 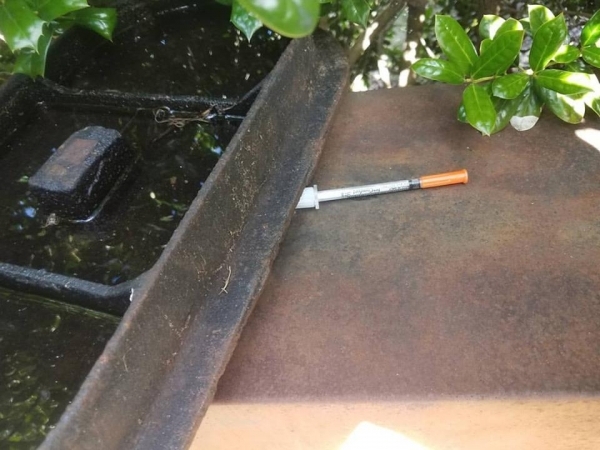 The state funded pilot program to prevent overdoses in Wilmington is good, those working with addicts here say – but the problem is well beyond the pilot program stage.